The search of success has always been a high priority. However in recent years, it seems that more and more people are striving even harder to achieve success. More people are experimenting with different health programs, buying self-help books, or even attending development sessions – but with few or no results. 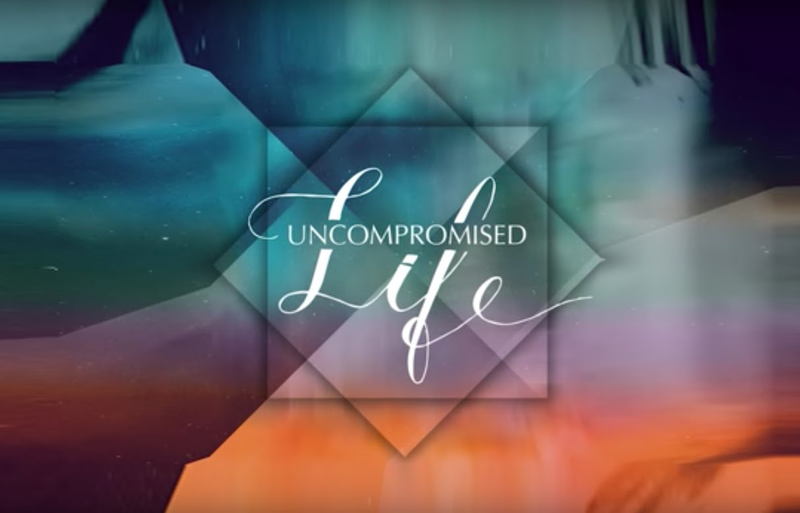 Uncompromised Life is a highly educational 8 week program aimed at teaching people how to rapidly transform and become the best version of themselves. The advice given in this course is quite exceptional, and it combines both professional clinical advice and personal knowledge. Like the name of the course suggests, the main goal is to be able to enjoy success and happiness on all levels of life, never having to compromise on dreams or hopes again. The program contains 8 parts, and each one of those parts is designed in such a way that it will provide you with confidence and most importantly, structure. By structure we mean that by the end of the course, you will be in a position to take charge of your life in a way that will emanate success. The goal of this first module is to overwrite old patterns that are already ingrained in your mind, and replace them with empowering thoughts and actions. In this way your goals and expectations will align with your actions, and results will be sure to follow. You will be introduced to two compelling mind control techniques, and you will be taught how to use the two in order to change your image of yourself, and how to nourish your self-esteem. At the end of this module, you will be able to focus your undivided attention on what matters most for you. In a society known for being dominant and competitive, people can become easily accustomed to failure. Success, accomplishment and joy are less known, and that’s what this module will focus on. Why shouldn’t you focus on the attainability of fulfillment, and why wouldn’t you put aside any negative view of yourself and your life? It is not uncommon to let things you hate hinder your success and progress. However, the simple thing which is needed is a perception shift, a way in which to make the things we dread be a pathway to what we are trying to accomplish. Productivity and success take work. However, you can reprogram your brain to see and do success-worthy actions on an automatic pilot, similar to you brushing your teeth every morning. Touchy subject or not, this module will train your subconscious to look beyond short-term goals. This means that you will focus on long-term goals and delaying gratification until you reach the level of success you so desperately desire. The aim is to feel complete, to be worthy of the reward you have gotten. When you feel that you’re not good enough, there is nothing which can fill in that void. You will learn to eliminate that nonsense talk, and by the end of the module those words will not be part of your vocabulary anymore. Although there such a thing as constructive criticism, people tend to focus too much on the negatives instead of the positive. There is a gap in people’s understanding of how important it is to accept praise, especially when that comes from an inner feeling. Thus, prepare to have your mind programmed in such a way that praise will become part of you, and criticism will be left out. The program seems invaluable for people who appear to be stuck in their attempt to pursue their dreams, for those who seem to have lost hope and confidence in their overall capacity to change themselves and their own lives. The comprehensiveness of the course provides you with priceless advice on how to restructure your life and thoughts so as to align them with your goals. If your lifestyle requires a change, or your mindset needs a rebooting, then you will highly benefit from this course. A simple $12 per user per month subscription, with a discount for annual payment. It’s easy to add or remove team members at any time. This program is delivered over an 8 week period. However there is no pressure to complete the modules once you have started. There are certain notes which will help you deepen your understand of each topic, and what makes this course unique is how you and the therapist work holistically in order to achieve success and personal growth. It is easy to sit back and dedicate the 25 minutes needed to complete the course, even before you go to bed. The differences between those who succeed and those who pout at the sign of obstacles will become clear, and you will become a better and more educated version of yourself. Focusing on the bottom line may prevent you from identifying the subtler virtues of each LMS. Perhaps you purchase a system thinking you will use it to onboard new employees, but then you decide you want to sell your training. An LMS with integrated e-commerce, such as Absorb, will enable you to distribute internal training externally at a flat fee of $5 per learner. This is the first sales type software that gets better as you discover more features. Many times I get a trial based on a cool pitch video I see, but as I dig into the program, I discover disappointing limitations or flaws.